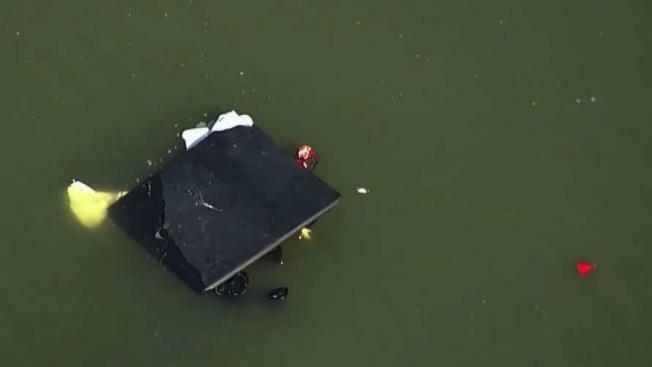 A dog was rescued out of a vehicle that submerged in the San Leandro Marina Wednesday morning. Rachel Gray and her boyfriend were about to go fishing but couldn’t get their truck started. After hot-wiring it, the truck lurched forward, plunging in the water. Though the couple was not in the vehicle at the time, their dog Moo was. "He had to smash the back window, because it's an extended cab, so he had to smash it and his hands all mess up, but he called her and she came to him," said Gray. The Alameda County Fire Department towed the car out of the water and no injuries were reported.